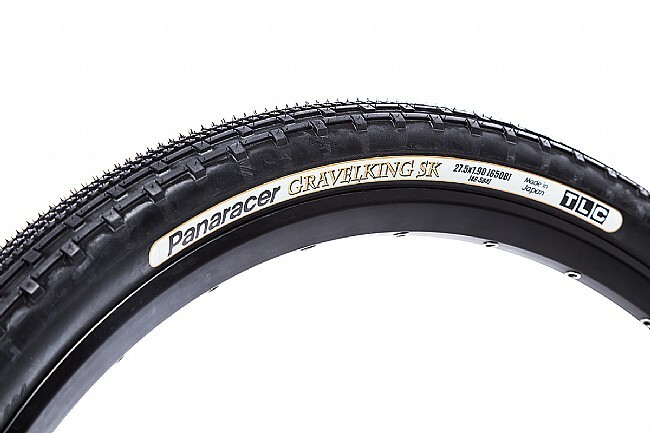 Designed for those of us who've chose to venture off the well-trodden asphalt in search of real adventure, the Panaracer Gravel King SB Tire features a more aggressive tread pattern than the standard Gravel King. 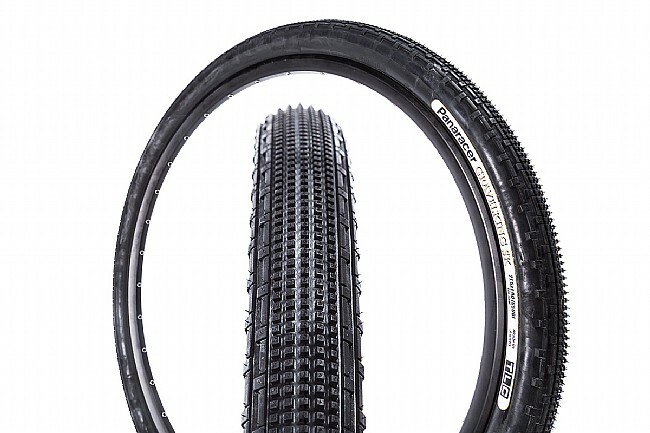 The 48mm-wide tire features tightly packed knobs through the center tread, ensuring traction in loose terrain or hard-packed gravel, while the raised blocky shoulder side knobs keep up with you even during aggressive cornering. Using the same basic construction as its sibling, the Gravel King SB uses a ZSG Natural rubber compound for tacky grip and natural long-lasting durability. Under that supple outer layer, the AX-α casing provides a fast-rolling and durable, puncture-resistant foundation that can go anywhere. Folding aramid bead. Max inflation: 50 PSI (60 when tubeless). Claimed weight is 540 grams. Available in Black or Brown sidewall. Available in 700c sizes as well.